Justice League #7 Review - Unique! Justice League #7 Review – Unique! Verdict: 3.6 / 5Landing safely, this issue manages to wrangle in some of the complicated story elements bringing it back to basics, with strong character work and intriguing, potentially hugely consequential premises. As the writers wind down the first chapter of this epic tale and reinvigoration of the Justice League, there is a lot to think about regarding the implications and future of this series. Justice League #7 aims to wrap up some of the ongoing plot points of the title in order to move us along to a different version of this threat, opening up the universe further. Whilst I have been vocal in my confusion over some of the more complicated plot points, the writer here managed to land safely, with the character interactions and twists once again making the landing a little easier to muster. Issue 7 did a lot right in my opinion. 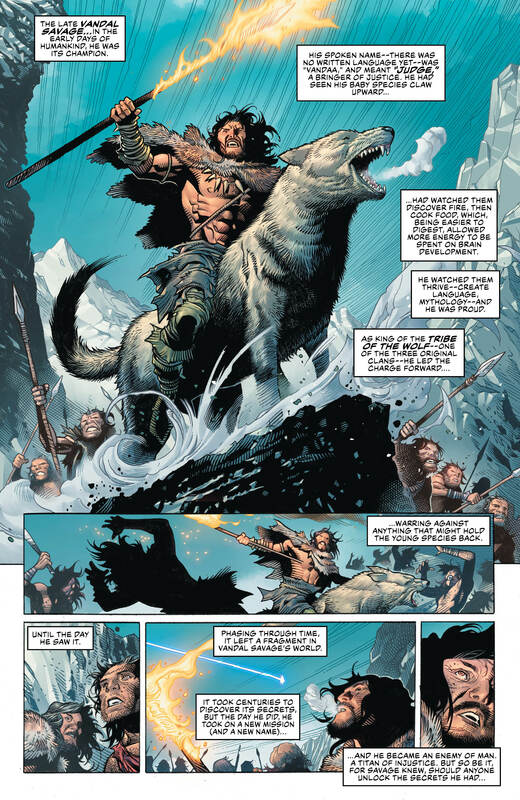 Going back to the Vandal Savage thread to give more context and circling the story around Flash, Jon Stewart and Hawkgirl gave the title some good direction. The battle for Earth and to close the cosmic membrane continues to take its strain on many of DC’s heroes, with Hawkgirl really taking the fight to Luthor. It appears she has some kind of ancient connection to the source code of the universe and this will certainly be a factor going forward in the series. Across the issue, many of the team got heroic moments, with only a few really standing out. It is Barry who finally becomes one with the still force and starts to understand the cosmic source code of the universe. This is where the issues’ most interesting concept comes in. The idea that the actual source code of the universe is inheritably evil and it is the heroes who have been on the wrong side of things for so many years. This is a concept that could flip DC on its head and have massive repercussions across all series. Whilst I’m not the biggest fan of these over complicated universe making or breaking storylines, when unique ideas, such as this, are produced from these narrative arcs then they are absolutely worth it. The Legion of Doom are teleported out to fight another day, with most of the status quo remaining much the same afterwards. What has changed is our heroes’ understanding of the role they play in the DC Universe and this is perhaps the most influential narrative decision of all. With the answers to all their questions at their fingertips, all of the Justice League variants are united in a very cool moment as they decide how they move forward. It appears that John Stewart as the Green Lantern will remain on the team and it’s a little disappointing that we won’t see him as a different Lantern for a while longer. However, the issue ends on a blast as Starman makes his presence known, setting up the stakes of the next chapter in the saga. The writer did a good job here of making the title a little more accessible and saving some of this cosmic story for down the line, rather than solving it in this issue then moving to another big bad. 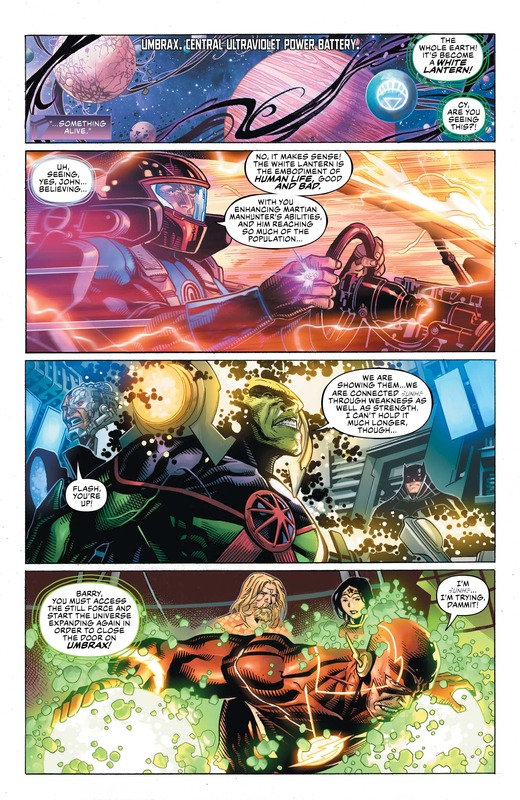 The series has the potential to create a really unique universe and amazing character development, with stellar art to back up whatever the writer produces. Justice League #7 is therefore somewhat redemptive for me, personally.